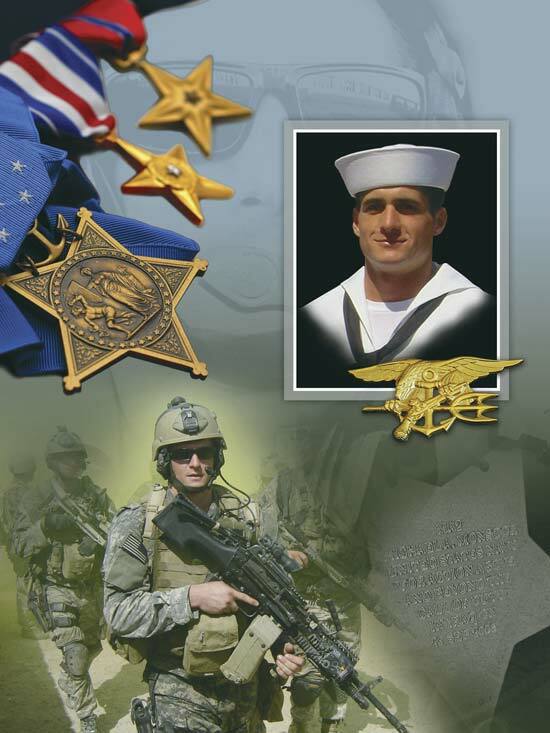 .... On 29 September 2006, an insurgent threw a grenade onto a rooftop where Monsoor and several other SEALs and Iraqi soldiers were positioned. Monsoor quickly smothered the grenade with his body, absorbing the resulting explosion and saving his comrades from serious injury or death. Monsoor died about 30 minutes later from wounds caused by the grenade explosion. If you don't read anything else today, read the OP.... Lebanese last name per the article, like that woman who goes on those marches who is in the news but I think she spells it "Mansour" but largely, the same last name. SEALS have their radio man carry the MG? WTF are they thinking?